People often compliment me on my fun upbeat sound on the radio during the early morning hours. I'm often asked, how do you do it? Well, caffeine helps, but there are five things I think everyone must do in order to be a morning person. 5) Turn The TV Off. If you're going to bring the laptop or the tablet to bed make it a brief visit. If you like to watch TV in bed, set the timer to 10 or 15 minutes and plan on rolling over for a good nights sleep. Don't watch shows that will get you all worked up before bedtime. 4) Stick To Your Nighttime Routine. Every night I spent an hour before bedtime watching my favorite TV shows. Then I brush my teeth, take my medicine and get my cloths ready for tomorrow. Whatever your routine, consistency helps you wind down. 3) Avoid Problems Just Before Bedtime. I've told my family that if the toilet handle breaks, or if we've run out of milk, I don't want to know about it after 8pm. I do not take phone calls or solve any dilemmas just before I go to bed. Stress is the number on reason why I can't sleep, so I avoid it at all costs at bedtime. You should too. 2) Get Up At The Same Time Every Day. Okay, I break this rule on Saturday and Sunday mornings, but, to insure alertness early in the morning, it's imperative that I'm up and moving around by 4:15am. By the time I'm cracking the mic for the first time at 5:30am, I'm wide awake and alert. One thing us radio people have to done is prep our show for the next day. 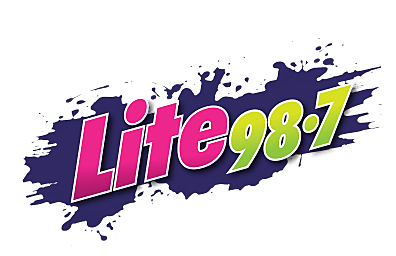 I look forward to sharing with you whats happening in my life and, what we're doing on Lite 98.7. I also look forward to enjoying my afternoons and evenings. So go ahead, make positive plans for tomorrow and enjoy a good night's sleep tonight.